If your using Android and feel the standard Google email application is a little restrictive to say the least. It might be worth taking a look at K-9 Mail for Android, which adds a number of standard features that should already be available to you. The K-9 Mail app allows users to file messages, creating email signatures, keeping your mail pushed and organised across all folders, empty trash when needed and allow you to save attachments to your SD card if desired. 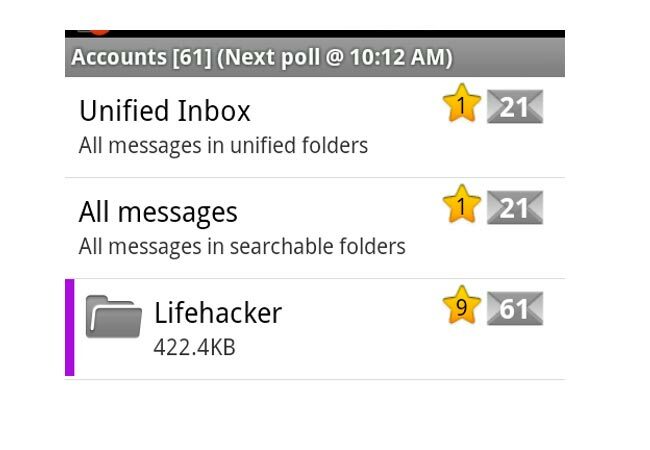 It also has an extensive set of sorting tools to help you get a little more organised with your email. The app also allows improved support for IMAP and Exchange servers. More information about K-9 Mail is available from its Google project page and its currently free to download on Android systems.